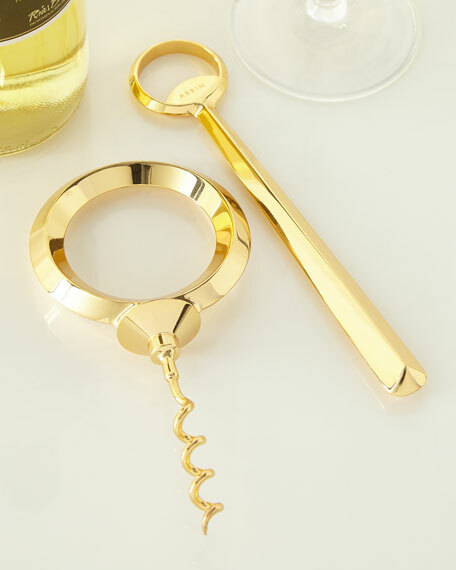 Danton bottle opener and corkscrew. 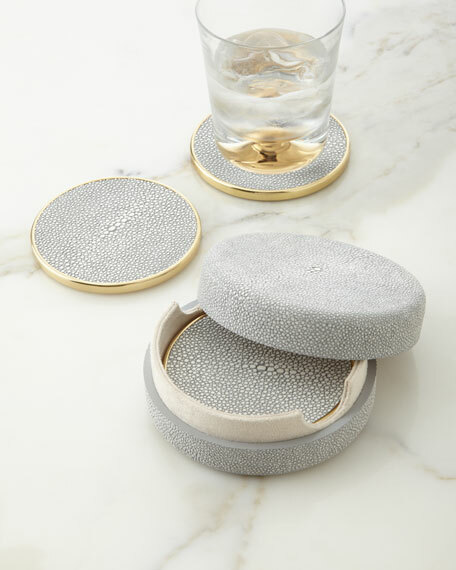 Bottle opener, 1.5"W x 6.75"L; corkscrew, 3"W x 6.3"L.
Handcrafted coasters with holder. Italian croc-embossed leather. Brass hardware. Suede lining. 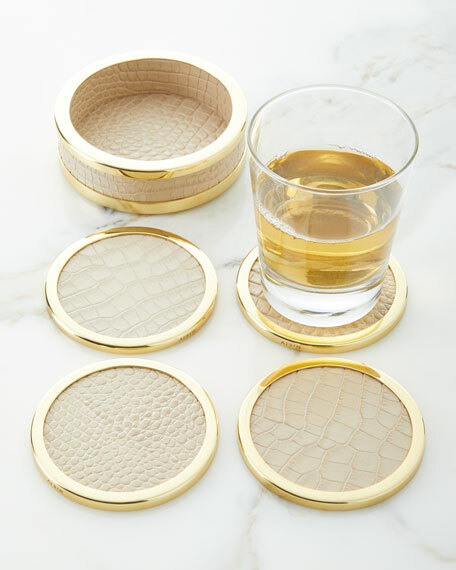 Five-piece set. 4.7"Dia. x 1.5"T. Imported. 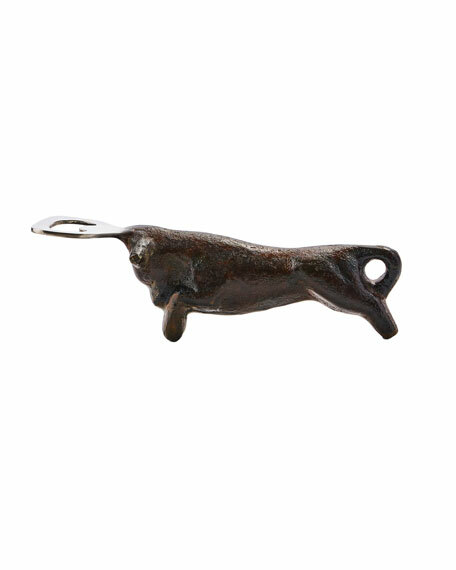 Wax cast iron bull with stainless steel bottle opener. 7"L x 2"D x 1"T. Imported. Exclusively ours. 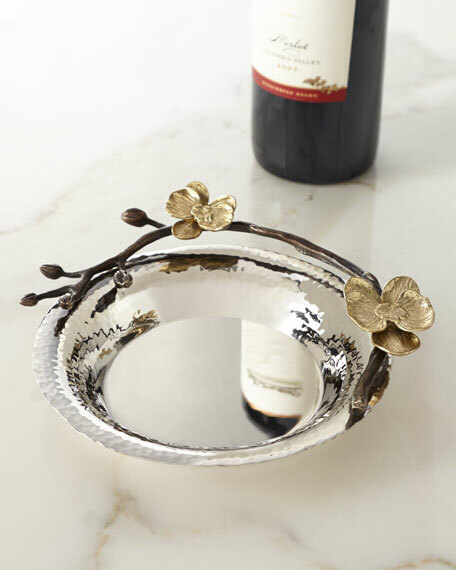 Wine coaster handcrafted of stainless steel and brass-plated and oxidized metal. Hand wash. 6.25"Dia. Imported.